In the first paragraph of my first article ever for this site, when it somehow looked even worse than it does now, I mentioned Raisin Mini-Wheats. 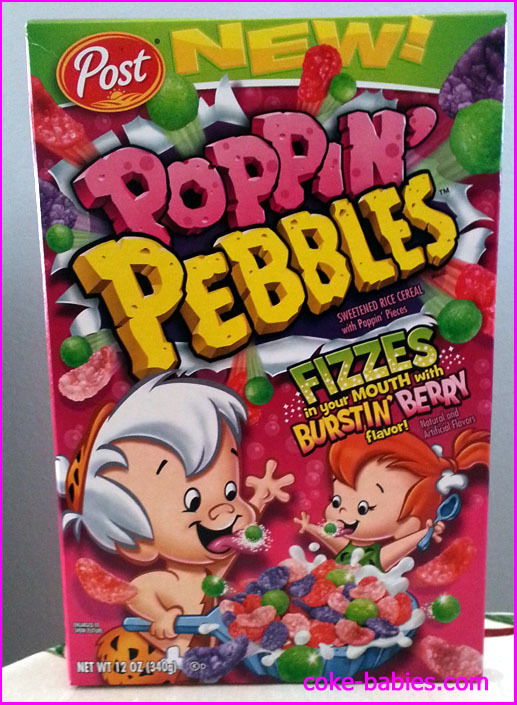 This was always one of my favorite cereals, which is sort of surprising. When you poll kids for what they love to eat for a snack, “wheat” and “raisins” wouldn’t rank very high. In order to answer “wheat stuffed with raisins”, you’d have to go with the “Other – please specify” category. And still, when Raisin Mini-Wheats went away, I was depressed. 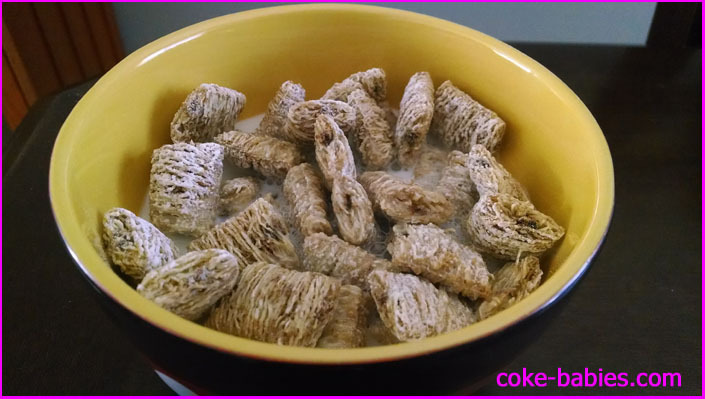 When fruit-stuffed Mini-Wheats made a return a few years back, I was very happy. They didn’t have my beloved Raisin flavor, but what we got would suffice. The fact that they came back “Frosted” was a bit worrisome, but they were so lightly frosted that it didn’t alter the flavor much. But surely Kelloggs figured the only people who wanted non-frosted wheat cereal would be old people and health weirdos. So they went with the “Sugar = $$$” theory. 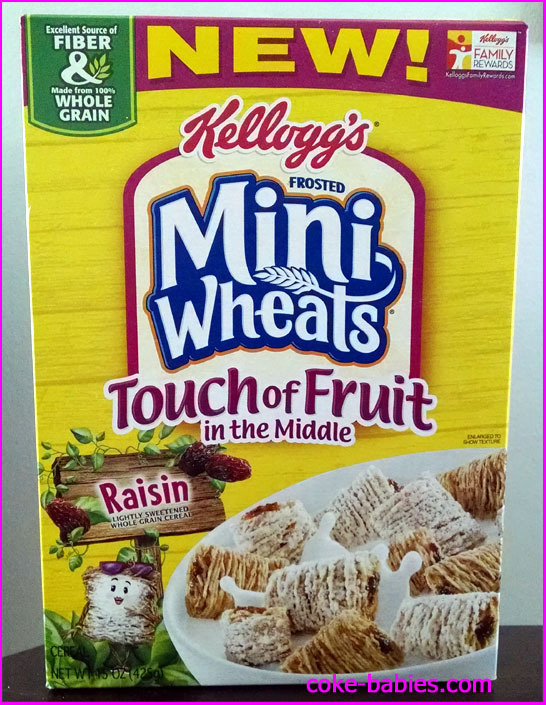 Seeing the return of Raisin to the fruit-stuffed Mini-Wheats lineup was a glorious day. 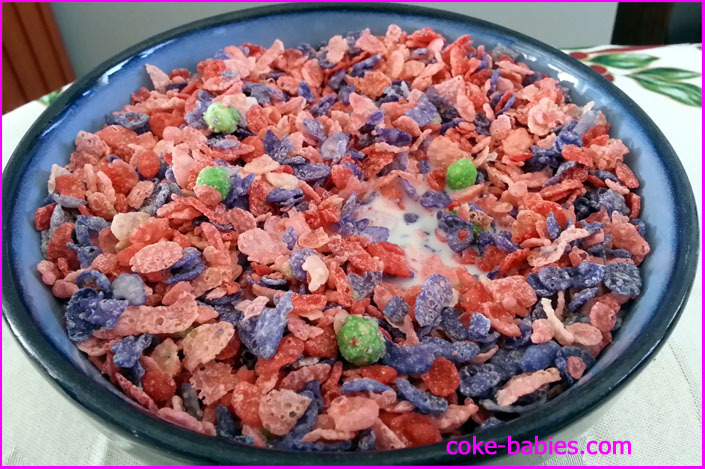 Unless they completely forgot the recipe, it was almost guaranteed to be awesome. There’s not too much to say. This cereal is awesome. Since the frosting is very light, it doesn’t affect the flavor very much, so as far as I can remember the overall flavor is very similar to the original. Even with the frosting, it’s only very mildly sweet. By default, raisin isn’t usually one of the sweeter flavors, unless they’re coated with sugar like Raisin Bran’s raisins. So there’s a little sweetness, a little… uh, wheat-ness, and a “just enough” raisin flavor. The one thing with the Touch of Fruit In the Middle line that seems different is, which makes sense given the name, there seems to be less fruit inside than the original line. The ratio seems a little less satisfying than I remember, but it’s still awesome. Kellogg’s Krave has been one of the new-ish cereals that I liked, and that liking hasn’t really died out. 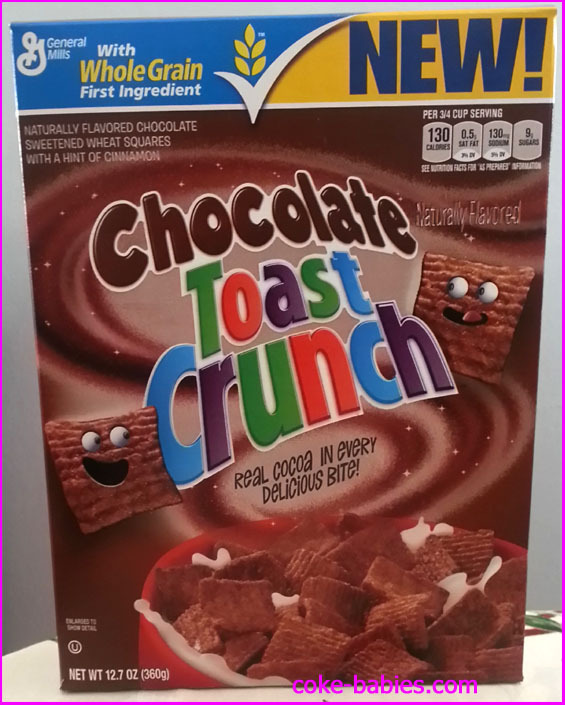 With a lot of new cereals, I’ll really be into the first bowlful or two, then the excitement is gone. I don’t by the box of regular chocolate Krave anymore – I found it a bit blah. But Double Chocolate Krave is still awesome. The potential to expand the line, either with permanent additional flavors or rotating flavors, is huge. The idea of “cereal pouches stuffed with some random flavor” is limitless. For their first new flavor, they went with S’Mores. I was hesitant about this, because fake marshmallow usually creeps me out. I don’t like real marshmallows, either, unless they’ve been lit on fire and become encased in black carbon. But that marshmallow stuff they put in Rocky Road ice cream, etc? Blech. One thing that is immediately clear when looking at the cereal is that they took a little poetic license with how full their cereal pieces are. Biting one in half, you can’t really see anything that’s supposed to be chocolate or marshmallow. The other thing you immediately notice is the incredibly strong graham cracker smell. Thankfully, the marshmallow flavor isn’t too intense. There’s enough where you know what the flavor is, but it’s more of a background player. The cereal is really the graham cracker show, with guest appearances by chocolate and marshmallow. The overall cereal-eating experience at first seems like it may be a bit too intense to enjoy for long. But after a few bites, the graham-octity calms down a little bit, and it settles into a nice flavor. I was wondering if I’d even get through a whole box of it, but once you “get” the graham flavor, it’s very good. 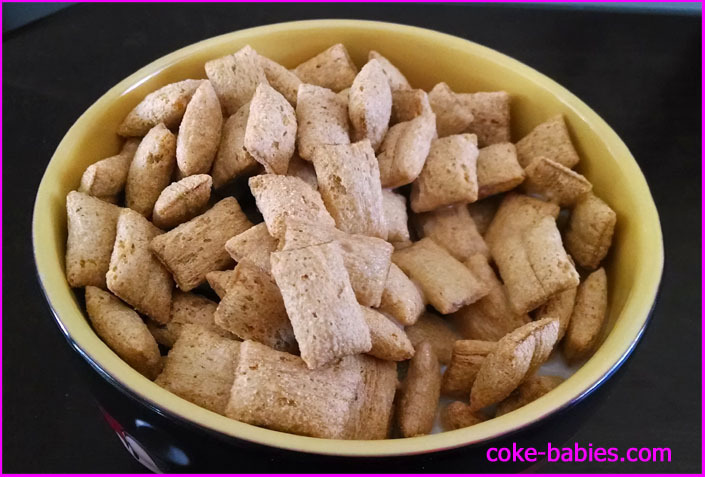 The graham isn’t really like Golden Grahams, where that’s sugar and honey and a little graham action. 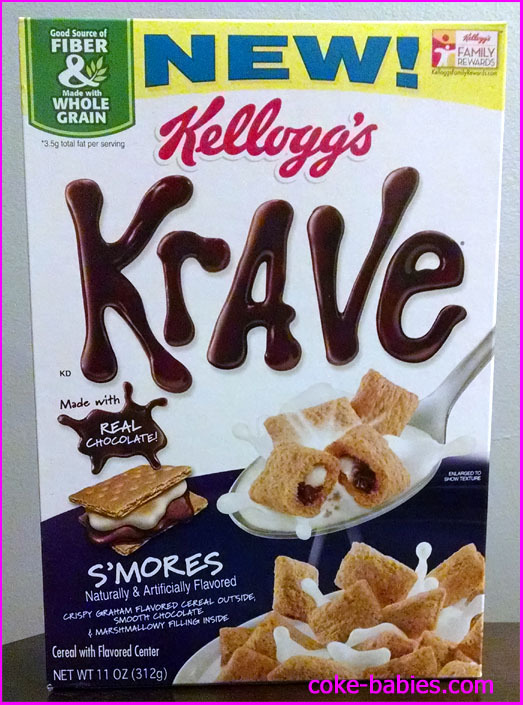 S’Mores Krave tastes like little graham crackers pressed into cereal pieces. 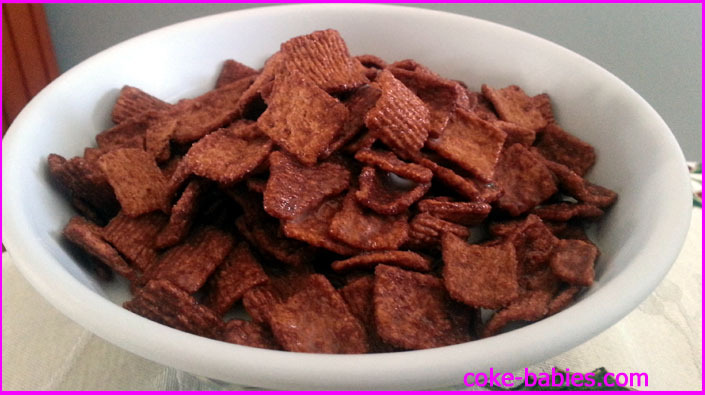 Like regular chocolate Krave, the cereal doesn’t want to give up any of its flavor into the milk. You get a very light graham flavor if you are really looking for it, but otherwise its just slightly sugared milk. I don’t think this is a cereal that could become a staple, but it’ll be a nice plug-in once in a while. Until it’s inevitably discontinued, anyway.